Welcome to the Greater Phoenix Area! 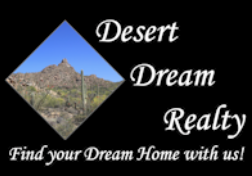 Here you will find information on relocating to the wonderful state of Arizona and the greater Phoenix area. Phoenix, often called the Valley of the Sun, is a great place to call home. Phoenix is now the nation’s fifth most populated city and is ranked as one of America’s favorite places to live. With 300 days of yearly sunshine, quality of living and economic opportunities why wouldn’t you want to live here? There is a life-style for everyone. Like sports? Phoenix has a team in every major professional sport and several national sporting events like the Fiesta Bowl, FBR Open and NASCAR races. Love the outdoors? You don’t have to leave the state to get away from the city. There is a ton of mountains to choose from including the Grand Canyon a few hours away for hiking and biking or just exploring. Plenty of lakes for water sports, fishing and camping. Snow activities are just a few hours away in the winter for those that miss the snow. There are 325 golf courses, 26 national parks, 6 national forests all within Arizona and just a few hours away. Lake Tahoe, Las Vegas, San Francisco, San Diego and California Beaches can be visited in a weekend by car or plane. Like city life? Stay at an upscale resort, catch a show at one of the theaters, take in a concert or visit one of our museums such as Heard Museum or Phoenix Art Museum. Phoenix has upscale restaurants and stores to many chain restaurants, there is something for everyone. Everyone from relocating families to retirees will discover a variety of ways to enjoy their free time here in Arizona. Have questions? We can help. Contact us using the form below or call our office at 480-252-8300. Ranked the #1 attraction in Phoenix, Arizona, the Musical Instrument Museum (MIM) is the only museum in the world devoted to global musical instruments. MIM opened its doors to the public on April 24, 2010, and immediately became recognized as a fun, family-friendly, worldwide tourist destination. Do you know what you should NOT ship?